My name is Helena McKinney and I took my first yoga class at a studio in 2008; with no idea of what to expect. All I knew is that something was missing from my life whether it was movement, fitness, focus, mindfulness or more, I truly feel I went to my first class out of curiosity, a drive for change in my life and honestly because someone invited me. I have to admit, I was pretty sore after my first class. It introduced movement I was not used to, but I felt very intrigued to go back because of how I felt the days following. Muscles I did not even know I had were awakened and I quickly realized that yoga was something I wanted to do again. I appreciated the combination of the challenge, the strength, the balance of stretching and relaxing. The first class created a shift and each class since has continued to everyday of my life. I am writing this piece to share my yoga story with you, but also to dismantle some of the misconceptions of this practice. I’d like to encourage everybody, of every body type to find a practice that works for them! Over the course of 11 years, I established a daily yoga practice with the guidance of my teachers, I completed my yoga teacher training in 2011 and opened my own yoga studio in 2012, In Fine Feather Yoga on Ottawa Street in my home town of Hamilton. At one point, I too was a total beginner, but I want this practice to be more inviting to those perhaps uncertain of how to get started. We all have different reasons for starting yoga, often it is to find better work/life balance, to help work through an injury after physiotherapy, for more peace and ease in our mental health, to get in better shape and build more strength. Whatever your reasons are for wanting to make change, I assure you the practice will improve all areas of your life. These are some of my tips and tricks and ins and outs for finding the right yoga studio practice. Why do you want to start yoga and what do you hope to achieve through practicing? Let’s find the right yoga for YOU! This is am important question because different classes and styles of yoga can achieve different things for the body and mind set. Some classes are meant for stretching, de-stressing and relaxing the body, other classes invigorate the body and are more of a physical workout. You want to ensure that the first class you are attending meets some of your expectations and that you are prepared for the pace of the class. Most studios in the area will have a variety of classes, with different levels for total beginners, to more advanced students. Gentle and Intro classes tend to be slower paced where stretching, breathing and a guided relaxation will be integrated. These classes will also teach you the basics for alignment and teach you the foundations of each pose. This is a great place for beginners to start to feel more comfortable in a guided yoga class. Flow or Vinyasa classes will take you through yoga postures at a quicker, more fluid pace. These classes will integrate yoga poses that encourage more strength, mobility and balance which would be more suited to students who have some experience with fitness or yoga. These are things you might want to consider before taking a class at a new studio. Perhaps call in/email first and consult with a studio manager about their class schedule and your interest in beginning classes. They will be able to direct you to the right class based on your specific needs and expectations. For the first year of my practice, I consistently stuck with beginners classes and established a strong understanding for the postures. So it excited me when I moved into the more advanced classes with confidence and felt prepared to try more difficult poses safely. You can check out IFF’s class schedule here. How to continue a regular practice and fit it into your lifestyle? Reminder yourself that healthy growth in life is gained over time, patience, persistence and practice. Most studios will have some type of introductory special for new students that offer you one month unlimited. Take advantage of this offer over the 30 days, its a great personal investment. This gives you the opportunity to try all the classes on the schedule and the different styles of classes. You will get more flexible. You will be stronger throughout your whole body. You will notice other differences in all aspects of your life. After a few months of my regular practice, I noticed myself more relaxed in the day to day, patient at work, my sleeping patterns were more consistent, I slept well and actually rested at night. My eating patterns became healthier, my body naturally wanted to eat foods that fuelled and energized me. My mind felt clearer to prioritize my day. Some of my closest friends even noticed a difference in how I held myself. I stood taller and walked a little lighter. I had to keep up with this practice. But…Yoga at a studio is expensive! This is something I have often heard. The variety of class passes offered at studios are an investment because of the unique technical instruction that each teacher provides the class with. Saying that, it is very common that the local studios in Hamilton offer Karma Classes or Community Classes available daily or at least a few times a week. These sessions are accessible at a pay what you can rate or donation based. Find our community classes on the schedule here. These community classes were the foundation of my practice when I started. I feel blessed that they were offered at De La Sol in Hamilton and this allowed me to really develop my practice in my early years. My personal practice was so important that making it to those classes became apart of my weekly routine. You don't need to be flexible, yoga helps you with this, you don't need to be in shape, movement helps with this, you don't have to be a certain age, classes are always mixed ages, you don't need to find the perfect time to start practicing yoga. The time is now, the present moment. It is yoga practice, not yoga perfect. If you feel the calling to make some type of physical, mental, emotional, spiritual change in your life, reach out to your local studio. Ask yourself this important question, what do you hope to achieve through practicing yoga? Know, that the answer does not need to become present to you right away, but trust that through the guidance of a knowledgeable yoga instructor and your own ambition- anything is possible. I am overwhelmed with how far I have come through practicing yoga and on a daily basis I get to share this everyday with my students. Yoga truly encourages us to live healthy, more self aware and whole. I invite you to reach out if you have any further question about starting and maintaining a yoga practice. Please email helena@infinefeatheryoga.com. In 2008 Helena attended her first yoga class, unaware of the incredible journey the practice would lead her on. Helena comes from a professional dance background, trained in ballet, contemporary and acrobatics. Her teaching career began over 12 years ago instructing students in dance at the competitive level. 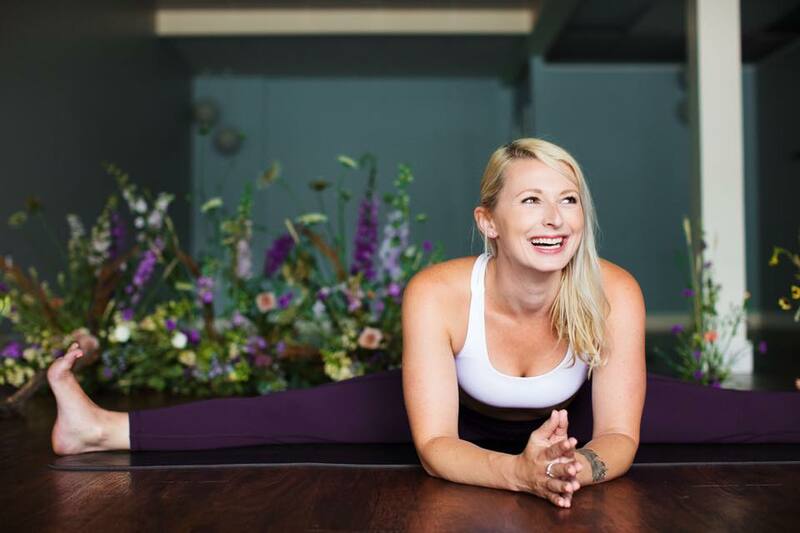 Helena has always had a passion and knowledge for movement, but through yoga she has discovered how to move more mindfully and live more consciously. Dedication to her practice has led her down a path of greater health, strength and peace. Feeling compelled to share this passion, Helena completed her 200 hour Teacher Training at De La Sol in 2012 and has continued her studies in Yin-Yang Yoga. Helena established In Fine Feather in 2012 just after receiving her Teacher Training certificate. Recognizing the unbelievable benefits of the practice, Helena immediately began to reach out to her community, offering pay what you can classes at a community centre in downtown Hamilton. As her passion for teaching continued to grow, she branched out into other areas of the city doing corporate wellness in the workplace. Teaching in all these different and unique settings of the city has directly contributed to Helena creative teaching style as well as her desire to open this space in central Hamilton. She is very excited to share this journey with her students. Teaching brings Helena the most joy because it encourages people in her community to live with greater stability, mobility and happiness on and off the mat. Her classes look to inspire a deep connection with self awareness while integrating breath with movement, to leave feeling strong and restored. 2018 Yoga Gratitude Flashback with In Fine Feather and Helena McKinney: In Fine Feather Yoga has done some incredible things in Hamilton this year and we wanted to share our rendition of a 2018 Gratitude Flashback! The 8 Limbs of Yoga by Helena McKinney: I am inspired to share more behind the philosophy of the yoga practice. Yoga has purpose beyond the physical asana/movement to transform our overall life perspectives and increase our capacity to have contentment. Let’s explore the 8 Limbs of Yoga, which have greatly deepened my understanding of the practice.